Joined by our pal Axel from Germany (and bigblogg.com) for a ton of news from MotoringFile including some talk about the Cooper R60 with All4. Plus, as you would expect, Todd snuck in a reference to his GP for those of you playing the drinking game! Oddly enough, we also spent some time talking about the Countryman rip-off Fiat 500l. Click through at your own risk, it’s not even the least bit attractive IMO. And, who’s up for breaking a world record? If that’s you and your are in the US, might I suggest MINIs on the Mack? 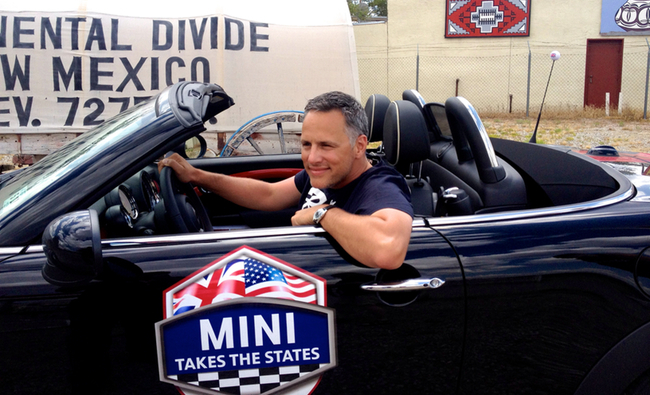 >Join MINI of Grand Rapids and MINI motorists from all over the country as we attempt to break the Guinness Book World Record for the Largest Parade of MINIs at MINIs on the Mack. More details at Facebook and we hope to be talking to the organizers very soon!